"Home is where the heart is," according to the classic aphorism ascribed to Pliny the Elder, the ancient Roman philosopher. If Pliny is correct, Farrah Hall's home is anywhere the water and wind are in perfect alignment. 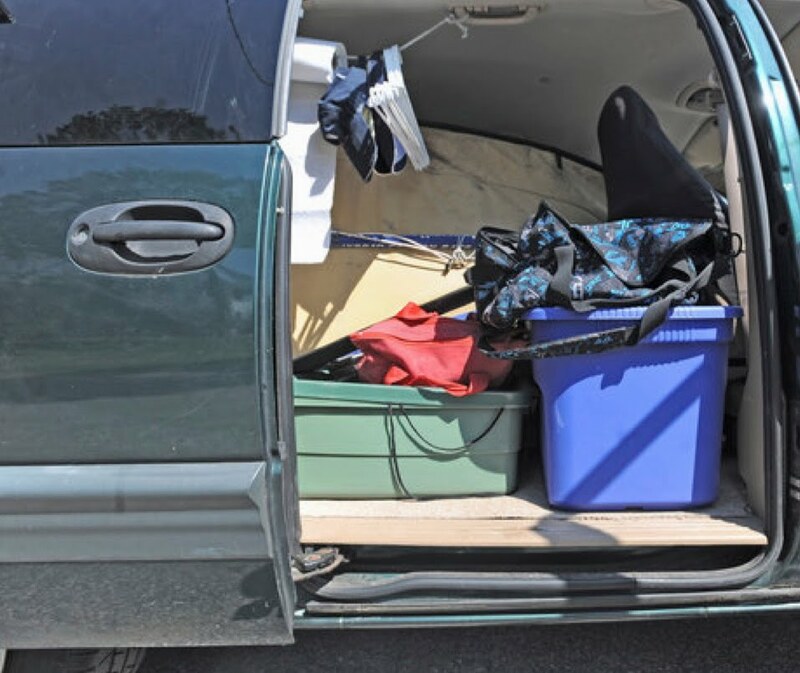 For several years, Farrah Hall’s physical “home” has been a spruce green 1997 Plymouth Voyager minivan. Farrah is the No. 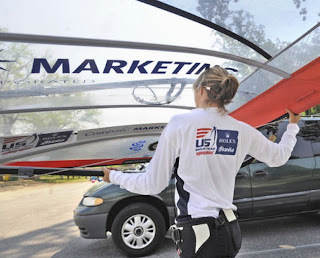 1 female windsurfer in the United States, according to US Sailing rankings. For several years, Farrah's physical "home" has been a spruce green 1997 Plymouth Voyager minivan. In early May, when Farrah and her home were photographed for The Capital, she and the van had just traveled up Interstate 95 from St. Petersburg, Fla., to her parents' Cape St. Claire home. A day later, the Voyager was driven to the Port of Baltimore and loaded on an oceangoing "roll-on, roll-off" ferry. Two weeks later, when the Voyager rolled off the ferry in Amsterdam, Farrah was waiting on the pier to resume their next adventure together. "It costs $1,200 and I had to prepare a lot of paperwork to ship it this way, but, in the end, it's worth it to have my van in Europe," Farrah said. "I can keep everything in it and sleep in it." The 28-year-old doesn't spend every night in the van. 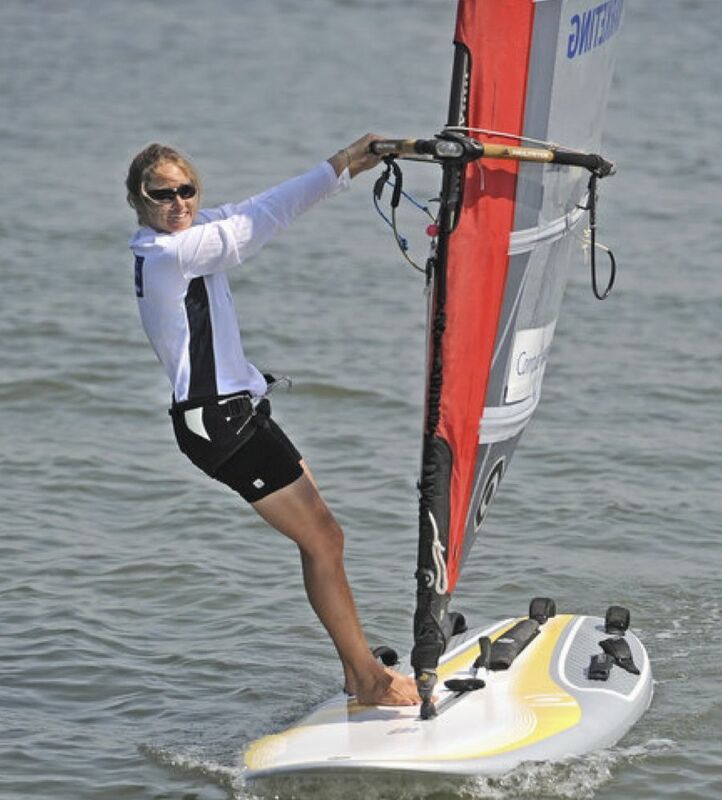 The windsurfing community is a tight-knit group, so she is often a guest in other athletes' homes. When her travels bring her back to Maryland, Farrah usually stays with her parents, William and Linda Hall. Farrah, a 1999 graduate of Broadneck High School, is the No. 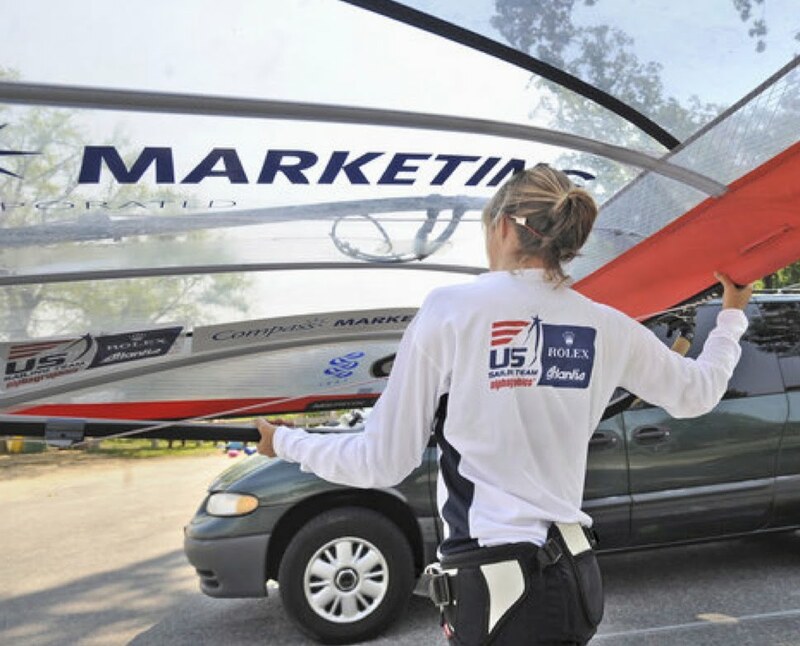 1 female windsurfer in the United States, according to US Sailing rankings. The past seven years, Farrah has been on a sometimes lonely odyssey to represent the United States in the Olympics - the pinnacle for any athlete. She was on track to represent the United States in the 2008 Summer Olympics in Beijing. 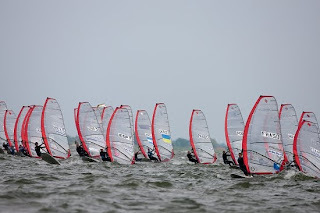 However, during the windsurfing Olympic trials in the fall of 2007, racing officials gave the spot to a competitor after deciding that windsurfer's race was adversely affected by a tear in her sail. The flawed ruling was eventually overturned - after the Olympics had ended. It was a bittersweet victory for Farrah, who decided to continue her training for a chance to participate in the 2012 Summer Olympics in Great Britain. The games will be held in London and the sailing events are planned for Weymouth, situated on a sheltered bay 109 miles away. "Ever since I started windsurfing in earnest, all my friends had camper vans outfitted for surfing," Farrah said. "I lived in St. Petersburg and had a station wagon. 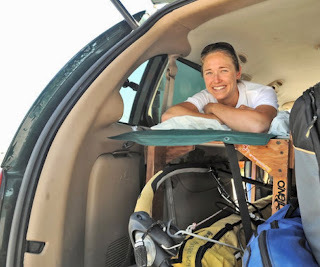 When I decided to pursue windsurfing full time, I immediately had to pick up a van." 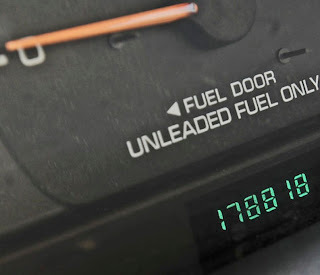 The Plymouth Voyager, manufactured from 1984 to 2000, was once one of America's best-selling vehicles. The Voyager was on Car and Driver magazine's Ten Best List for 1996 and 1997, when it retailed for $17,225 to $20,750. 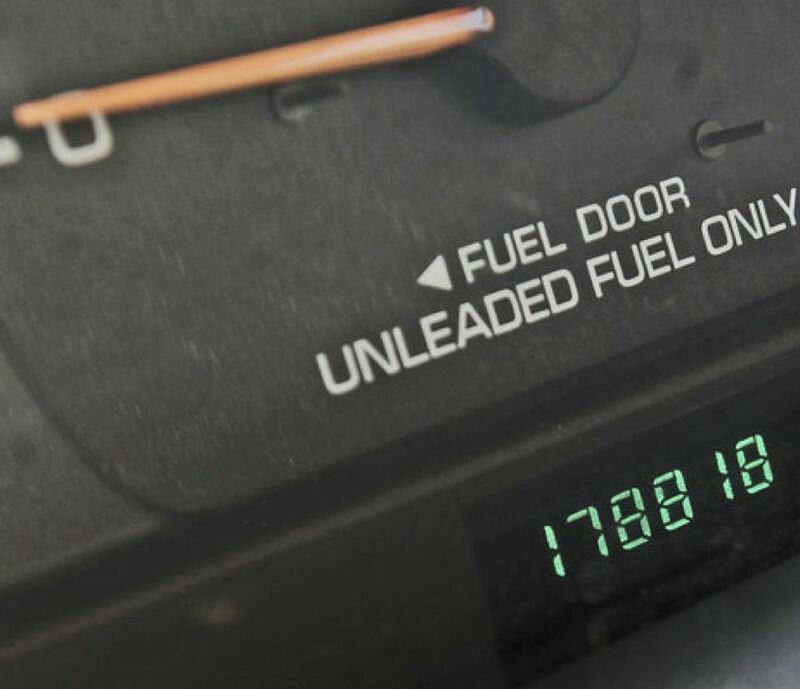 Farrah purchased hers in 2005, five years after the last Voyager rolled off the assembly line. It has nearly 180,000 miles on its odometer. The vehicle has roughly 168.5 cubic feet of space inside, about as much as a small powder room. Immediately after she purchased the minivan, her father, a retired Westinghouse electronics engineer, pulled out his tools. "Dad is good with van repairs," Farrah bragged. "He does 90 percent of my maintenance. He did a brake job on the minivan and replaced its radiator. He also replaced the cloth headliner inside. It had gotten old and was sagging." "This American minivan is fuel-efficient," Farrah added. "Because there are so many of them, I can park it in most places and it is inconspicuous. It houses my equipment and is a place for me to sleep." Farrah flipped up the back door of the Voyager. Its contents were inelegant but efficiently organized. Showing off her bed, she said, "This was made by a windsurfing friend, Kent Heighton of Hood River, Ore. He made it from scrap lumber." The sturdy bed, essentially a long box with open ends, had a bed pad, blanket and pillow on top. The box itself is a storage area for the sails, masts and booms of Farrah's two windsurfing boards. One is her RS-X Olympic-class regulation board, which measures 9 feet 3 inches in length. Next to it lay a Formula windsurfing board. The sails, removed from their cloth tube and unrolled, are longer and wider than the Voyager. Unlike the solid canvas materials of just a few years ago, the sail for Farrah's RS-X board is made of a tough, clear monofilm produced by KA Sails of Australia. Out on the water, it looks like the shimmering wing of a giant dragonfly. "This is Olympic equipment," she explained. "Everyone has the same equipment. Yet, there are some variations. The top sailors test new equipment to find out what works the best." 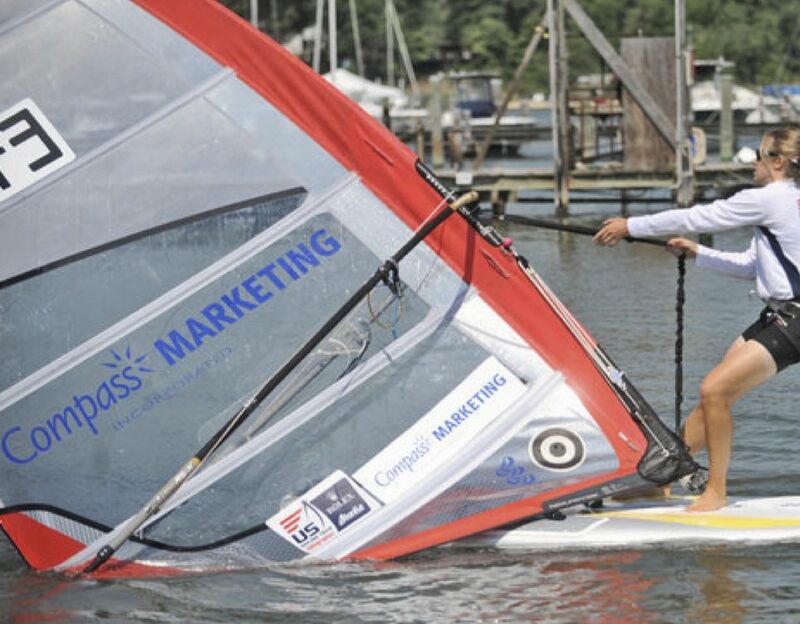 The logo of Compass Marketing, an Eastport firm, is printed on the sail. "They're a generous corporate sponsor," Farrah said. "I'm probably the only windsurfer in the world that has a corporate sponsor. 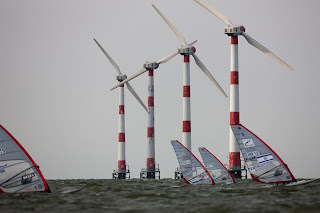 Usually windsurfers are sponsored by the sailing industry or local efforts." Windsurfer Scott Steele, a 1984 Olympic silver medalist and Annapolis resident, coaches Farrah when their schedules align. A typical week entails 12 to 36 hours on the water and 20 hours of aerobic exercise. She'll also network to raise funds for her quest, since training does not allow her to work full time. With a flick of her wrist, Farrah slid open the rear right passenger door. Stacked neatly inside were covered boxes containing her collection of wet suits, tools and additional equipment. A clothesline dangled overhead. Hanging on it were several visors, hangers and a roll of paper towels. Smaller items were stashed inside the car's console. 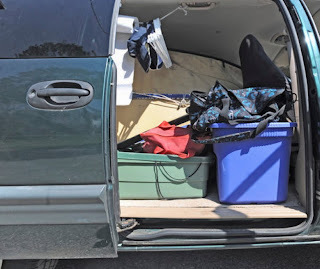 "The more organized I keep the van, the better chance I have to avoid losing things," she said with a laugh. The van will remain in Europe for two years, though Farrah will shuttle between Europe and the United States several times. While the van served as her home on this side of the Atlantic, Farrah developed a routine. "Basically, I have gym memberships with two national chains, Gold's and 24 Hour Fitness. I go online to see which one is nearby when I'm on the road. I stop, shower and get some rest. National Parks also have nice shower facilities. "I've driven straight through for four days without showering. I do not feel as well when I arrive in that condition," she noted wryly. During the next two years, she plans to travel to six to eight annual international windsurfing regattas on the Olympic Class circuit in Spain, France, Germany and the Netherlands. She also will participate in Formula Class races on the continent, plus myriad other regattas to continue building her skills. "I started windsurfing using a boyfriend's equipment when I was 15," she recalled, standing on the community beach in Cape St. Claire. "I windsurfed on the Magothy River. I had so much fun with his stuff I asked my dad for equipment. For a long time, I did it recreationally here in this park." Eventually, the interview completed, the photographer and I headed to our cars to leave. It was a perfect day. As we looked back, Farrah was on her board, skimming over the waves on the Magothy. The sail glinted in the sun as Farrah dipped it up and down over the water. She looked entirely at home. Kiel Week is finally over and during the past few days, North Germany has been giving us some incredibly pleasant weather. Unfortunately, when the weather is beautiful, there usually isn't much wind! The third day of racing turned into a lay day as the wind changed directions multiple times. We were called out to wait on the course for a couple hours, but the wind never reached a race-able strength. Getting a ride in with Solvig Sayre and John Bertrand; Bob Willis gets a tow surf! Conditions were fairly similar for the fourth and last day of racing. Offshore drainage in the morning turned into a very weak sea breeze in the afternoon. Clouds hung over the land, suppressing the thermal effect of the breeze. As everyone was quite impatient to race after so much delay from light wind, the committee started the men immediately. However, after the men's starts, the wind dropped again and the women were delayed. The wind shifted 30 degrees a few times, and finally a round of sailable pressure came in. As I'm still working on technique in the ultra-light stuff, I sailed a tactically solid race but just didn't have speed to escape into clean air. The second start was delayed again, and after waiting an hour and one general recall, the committee started the women after the last fleet of youth. The decision to start us last was met with catcalls and boos from the women sailors, as we had less races completed than the men and it seemed we were low priority. We raced in the last dying gasps of the sea breeze, and it was one of those events where you just hope you won't spin in circles trying to get upwind. It took almost an hour to get around the course pumping the entire time. I feel pretty good about this regatta as the conditions were difficult every day we sailed. We raced mainly in conditions that aren't my forte and in which my technique is still very developmental. The pumping technique is getting better, however, and it was good to see I could manage a couple of 15th places on the last day. Without consistent coaching, it is difficult to make rapid improvements in technique. Although I can always watch and mimic fast sailors, without analysis minute but important details are hard to discover on my own. It is a testament to fitness and now 4 years of trial-and-error hard work, plus a few sessions of coaching last year, that I can hang with the fleet. My next regatta will be the European Championships at my home venue of Sopot, Poland. I'm very much looking forward to racing a big event in Poland. First, apologies to all who want to see some pictures: without a boat, it's almost impossible for me to take pictures of the racing, and the organizers don't have any shots up yet. Racing got interesting today as the wind backed off a lot from yesterday's conditions. It takes almost an hour to sail out to the course when the wind is light, and a number of us got there just a few minutes before the first start. The wind was extremely shifty and light, and clouds covered all horizons, leaving an open window of sunlight above all the race courses. The girls only completed one race today, while both fleets of men completed two. For our race, it was obvious that the right would be favored. I managed to tack out in some clear air to get over there. The wind continually dropped before the start and during the race, and it was tough pumping conditions the entire race, and sometimes an effort just not to spin in circles. The wind kept clocking right, and soon our downwind leg turned into a reach, and the reach to the finish line turned into an extra upwind leg. However, the committee didn't call off the race. I'm working hard on my pumping and I don't quite have the technique a lot of the girls do, but I sometimes can make up ground just by sheer effort. This can be frustrating as it seems like I am working harder than anyone around me but not going faster. I managed to stick with the fleet and finish 16th. We actually have 23 boards in the fleet, not 17 (I was a little confused with the numbering on the results yesterday). After sitting around while the committee reset the course, the boys raced again and the committee tried to start us, but the wind died during the start. The boys finished their racing in almost glassy conditions. There are a few fights going on between both my American and Polish teammates. On the American side, Bob and Ben are having at it. Bob sailed really well yesterday in the breeze, gaining a lead on Ben. Bob is also holding his own today, but Ben is quick in light air and is closing the gap. The Polish have three sailors solidly in the top 10. There are quite a few guys this year vying for a place on the Polish Olympic team, and a huge fight is taking place with two guys always finishing within a point of each other and a third winning all the races in the light air, his favored condition, to win points back from yesterday. Tomorrow may be light again, but we won't know for sure until we arrive at the venue tomorrow morning. As we are one race down, most likely the girls will start first tomorrow. Check out results here. Kiel Week is truly an epic event. It combines the best of all sailing into week-long demonstrations and regattas, and in downtown Kiel there is dry-land festival that can get pretty rowdy. On the water, in addition to all the Olympic-class action, tall ships cruise the harbor, cargo ships motor in and out, the occasional military boat comes through, pleasure boats abound, and the star of the show is a giant hydrofoil trimaran called L’Hydroptere, which was created by a bunch of crazy Frenchmen and recently broke the sailing speed record (51 knots). It’s pretty eye-opening when the massive trimaran accelerates, lifts up, and speeds through all the harbor traffic. There has been plenty of action in the harbor all week, and the first day of racing was fast and furious. Today, for the start of Kiel Week, we were hit with the most classic weather this venue is famous for. Clouds and rain showers rolled through most of the day and the offshore wind started around 12-15 knots in the morning and built to 20 knots by the end of the day. The boards have a challenging course 2 miles from the venue, which is near a point of land that causes massive wind shifts. In the middle of the course, which is the closest to the point, the wind can be light and fluky with the occasional big puff coming down, and big shifts. Puffs can drop in full strength or can just barely come down to the surface, meaning the pressure is really inconsistent and I’m constantly adjusting technique and trim to stay on a plane or to work a big gust. The most challenging aspect of the venue, however, is the crazy chop that has no pattern whatsoever. The chop is largely a function of the boat traffic on the course, with a smaller current / wind influence. Huge wooden ships cruise right through the middle of the course; spectator, press, and coach boats are also an influence. It is tough to maintain speed in these conditions. It is also very cold: today the high was in the low 50s and rainy. After about an hour and a half delay (waiting in the chilly rain) the committee called us out to the course. The efficient committee ran four fleets of boards on one course and we knocked out three races with no further delay. I was a little jittery coming into the day, and had some issues with where to put my backpack as the wind and chop made it really difficult to hand anything to the race committee (Sailors without coaches must put water and food in a backpack and bring it out to the course). However, I settled in and raced the best I could, and ended the day with three 11th places in the 17-boat fleet. I have some difficulty with speed when there is crazy chop, which is something I am working on. My teammates Ben Barger, Bob Willis, and Solvig Sayre are also racing, so it makes four Americans at one regatta…unusual! It will be a good experience for all of us. Check out results here. I’ve been without internet for a few weeks so I haven’t updated, but plenty is happening. After leaving Hyeres, I drove back to Barcelona and flew from there to Amsterdam for the Delta Lloyd regatta in Medemblik, Netherlands. Medemblik is a small town situated on the Ijsselmeer, a fresh water lake artificially created by the numerous dikes surrounding the area. A dike about 20 km in length keeps out the sea. The water is very cold, as is the weather generally, with clouds, rain and frontal wind. Although the weather isn’t perfect, the Netherlands is probably the most civilized country I’ve ever visited. There is an order to everything, and citizens abide by that order. The historic houses are all in perfect, almost new-seeming condition. Cars cruise slowly down smooth roads and stop for pedestrians and bicycles in the crosswalk (note: in Holland, everyone rides the same kind of bicycle). In the green parks, pens of rabbits, goats, donkeys, and sheep are there for kids to enjoy. In the springtime, flotillas of young waterfowl paddle around the canals. Riverboats also cruise up and down the canal network, picnicking families aboard. To add to the picturesque scene, young children are often seen fishing from the canalsides. This small-town euro-Rockwellian paradise was what we walked through every day on the way to the regatta center. Stepping into the venue and racing was quite a departure from the idyllic scenery. As the last two World Cup regattas had no wind, all the competitors were hoping for some breeze for Delta Lloyd. We ended up with a few days of wind and a few days of waiting until the last minute for wind. The boards raced on the same course as the 49ers, and sharing the course meant that we were pushed back late in the day. Oftentimes we got off the water around 8 pm, making for some rushed nights. Overall, I sailed quite well. I am rediscovering my strength in the breeze, and had some successful front-third of the fleet finishes, and 2/3 fleet finishes in light wind. 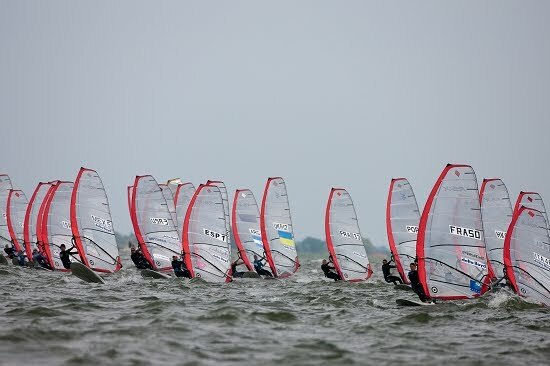 It was a great start to the season and overall probably the best conditions this year at a World Cup regatta. After the regatta, I took the train to Amsterdam to collect my minivan, which arrived in the port during the regatta. It was suspiciously easy to retrieve it from the port and drive it away. Immediately we loaded it with gear and people, and off we went on an overnight drive to Poland, where I’m currently training with the youth team at an academic / sport facility in Gdansk.